Providing you the best range of granulator knife, shredder knife, pelletizer knife and grinder machine knife with effective & timely delivery. We are offering our customers a wide range of Granulator Knife, which are available in various sizes and specifications. Our quality product is made available at market leading prices in bulk quantities. This Granulator Knife requires low maintenance cost. 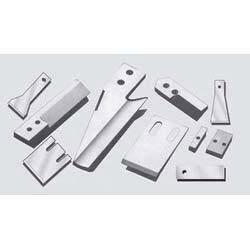 Apex Knives manufacturers Shredder Machine Knives and cutters for a wide range of applications. Primary for Plastics Processing, these knives are also produced for processing other materials like Steel Scrap, Wood Pcs, Paper Pulp etc recycling. 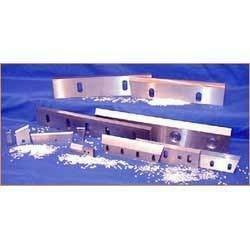 The knives are manufactured of different diameters 100mm to 400mm. We work with different steel grades, like AISI D2, H11, H13 and also special steels like Hardox 400,500,etc series. Any type of profile or design can be supplied. We are one of the leading organization engaged in providing excellent quality Grinder Machine Knife, which are manufactured by using high grade material. 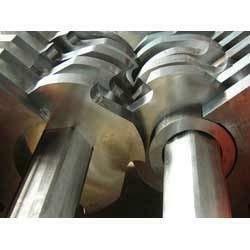 These Grinder Machine Knife are widely appreciated by our clients which are situated all round the nation. 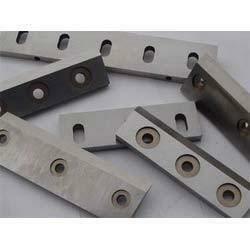 Our Grinder Machine Knife can be availed at industrial leading price. Looking for “Knives for Plastic Industry”?